In the movie Sandlot, Babe Ruth made a quote that I will never forget: “Heroes get remembered, but legends never die”. Keith “Guru” Elam is exactly the type of human that personifies what the Colossus of Clout was talking about. For the better part of two decades, Guru wrote some of the most insightful and intelligent rhymes in Hip-Hop. From the humble beginnings, Gifted Unlimited Rhymes Universal was a potent emcee, and he only became stronger as the years passed. There are a lot of emcees out there who always use the same monotonous flow, and after hearing a vast portion of their catalog, listening to their music becomes a chore; the same cannot be said about Elam’s work. Dubbing himself “The King of Monotone”, Guru never changed his style or delivery once in his career, and it’s one of the biggest reasons that he remains an unforgettable emcee. If Bald Head Slick was on a track, everyone and their brother was looking for it. One of my favorite albums of all-time without a doubt is Gang Starr, Moment of Truth; to me, it’s by far one of the most polished albums I’ve ever had the pleasure of hearing. I would never discredit anything that Gang Starr released because I’m a huge fan of every album in their catalog, but Moment of Truth towers over everything else in my opinion. From rhyming with Inspectah Deck on the fan favorite “Above The Clouds”, to spitting bar-for-bar along side Freddie Foxxx and Big Shug on “The Militia”, Guru makes sure that every one of his stanzas are heartfelt and memorable. Guru would have been fifty-one years old today, and rest assured, he would still be rhyming with the best of them. I can personally say that he rests comfortably among my top ten favorite emcees of all-time, and I know a lot of people would put him in the same category. There’s no denying that Guru’s presence is missed greatly in Hip-Hop culture, and it will continue to leave a void for many years to come. A couple of years back DJ Premier stated that he had enough Gang Starr material to compile a posthumous LP, but it’s never made its way into seeing the light of day. 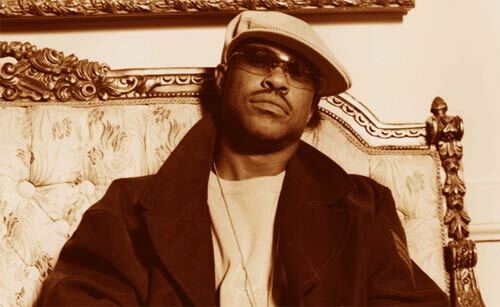 Personally, I would love to see another Gang Starr album, but if there isn’t one, it wouldn’t bother me; between the Jazzmatazz series and his work with DJ Premier, Guru has already left behind a legacy that most emcees would die to have. This entry was posted on Tuesday, July 17, 2012 at 8:33 pm and is filed under Culture, News with tags Gang Starr, Guru, Jazzmatazz, Keith Elam, Moment of Truth. You can follow any responses to this entry through the RSS 2.0 feed. You can leave a response, or trackback from your own site.